There are two things I love about traveling Italy: the Aperol Spritz and the Italian aperitivo spritz. A perfect drink often served with a perfect bite of Italian food. I want to share all of our Aperol Spritz knowledge, including a perfect Aperol Spritz recipe and how to enjoy an Italian Aperol Spritz in Italy! I started drinking Aperol before I knew what Aperol was. The path to Aperol started with its grandfather, Campari. During one of our early trips to Rome, we thought we would try a Campari cocktail. I had no idea what was in a Campari Cocktail, but as we sat at a cafe on the edge of the Campo di Fiori in Rome, I thought it seemed appropriate. I felt like Audrey Hepburn with my bright red Italian aperitivo cocktail. I didn’t like it one bit. Despite its deceptively bright red color, it is hardly sweet. It packs a bitter punch, even when matched with mixers. I think the version we ordered in Rome was merely Campari and soda water, maybe with a little Prosecco. I don’t know that it would qualify as a Campari spritz. But, there was not enough sweetness to offset the bitterness. It made us stay away from Campari, and anything in that family, for a really long time. What is Aperol? What is an Aperol Spritz Cocktail? Aperol bears some similarities to its partner in crime Campari. The biggest difference is the color. Aperol cocktails are bright orange, and brilliant looking. Our friend in Slovenia introduced us to Aperol cocktails, and the Aperol Spritz, during a day trip to Piran, Slovenia, a few years ago. It was a warm fall day on the Adriatic coast. Irena ordered an Aperol Spritz cocktail and when it arrived, I just found it gorgeous. From that point on in the war between Aperol vs Campari, I was strictly in the Aperol camp! So, what is Aperol? Aperol is an Italian aperitif made of bitter orange, gentian, rhubarb, and cinchona among other ingredients. No, I did not know all of these ingredients when I typed them. When I searched for term gentian, I found it is a blue flowering plant. Cinchona is another flowering plant native to Andean forests in South America. If you look on Aperol’s website, it claims Aperol is made from oranges and “secret ingredients.” Despite all of these secret Aperol recipes and ingredients, it sure is tasty. An Aperol Spritz includes the Aperol liqueur, ice, soda water, and Italian sparkling wine with a slice of orange for garnish. It’s usually served in large Aperol Spritz glasses, making it a stunning cocktail. It practically glows. I tried Irena’s that day in Slovenia. I enjoyed it. I’ve never looked back. It’s my favorite Aperol drink. Learn more about what to eat and drink in Emilia Romagna in our Emilia Romagna Food Travel Guide. Over the years, during our numerous trips to Italy, we’ve become, well, a little addicted to the Aperol Spritz. It forms part of our nightly ritual, indeed an Aperol aperitivo. We walk around the town that we are staying in, and stop for a little aperitivo on the way to dinner. The Italian aperitivo is a ritual in much of Italy but is managed differently across the country. In the north, including Milan, Turin, and the Lombardy region, aperitivo can be a meal in itself. When we traveled through the region a few years ago, we ate a big lunch most days, so an aperitivo was sufficient for dinner. Generally, in and around Milan, you purchase a cocktail, beer, or wine and you have access to an aperitivo buffet. This is nothing like a happy hour buffet in the US, that might involve a chaffing dish of soggy wings. In Italy, aperitivo may include cured meats, cheeses, grilled vegetables, sandwiches, and even warm pasta. Although the buffet style aperitivo is not as popular in Emilia Romagna, minimally a drink will come with some chips or other salty snacks. It’s a way to tie you over until dinner. Bologna, however, is a student city. Students love the concept of aperitivo, because it can be a cheap way to have dinner with friends. For us, Italian aperitivo can be an alternative to dinner on days where we’ve had big lunches. More often than not, it’s a pit stop on the way to dinner. And, for us, aperitivo always involves an Aperol Spritz. If you can’t make your way to Italy for an Aperol Spritz aperitivo, although you should try, it’s possible to make one easily at home. The important thing is to pour the Prosecco in first, to avoid the Aperol settling to the bottom. Give the drink a good stir with a long cocktail spoon, and enjoy. Well, maybe hold it up to the light and take a little Aperol selfie for Instagram. Because the Aperol Spritz is one fine looking cocktail. It’s also possible to make this Italian spritz recipe with Lambrusco or cava. How do you say Aperol Spritz in Italian? Ready, this is a tough one “Aperol Spritz.” Yep, that’s what it’s called. Just try to say it with a little bit of an Italian accent. What does an Aperol Spritz cost? 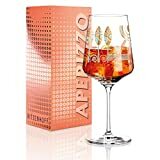 The Aperol Spritz price when traveling in Italy depends on whether you have the Aperol aperitivo, or just the drink. It also depends on the city or town. It will be more expensive in Bologna than in a small village. In Bologna, an aperitivo Aperol Spritz, with food, will cost around €7-8. Just the Italian spritz is usually around €5-6. The Aperol price in Italy is also more expensive than in other European countries. Where we live in Girona Spain, we can order an Aperol Spritz at bar for between €3.50-3.75! What is the flavor of Aperol? When looking at the orange color, one might think that Aperol is sweet. It’s more bitter than sweet, but not as bitter as Campari. Is an Aperol Spritz strong? Aperol is only 11% alcohol, more like that of a wine than other liquors, including Campari. Campari is almost twice as strong. What is the alcohol in Aperol? Aperol is an aperitif, so it doesn’t have an alcohol in it. It’s not made with vodka or gin, it’s its own alcohol. Looking for more travel tips on Emilia Romagna, and how to eat the best food in Italy? My book The Food Traveler’s Guide to Emilia Romagna: How to taste the history and tradition of Italy is available on Amazon now. If you are a NOOK reader, it is also available for download on Barnes and Noble. Where to Stay in Bologna: Get Bologna hotel recommendations here. What to do in Bologna: Book a culinary experience with Yummy Italy! Learn more: Get the only guide you would ever need for Bologna, the Food Traveler’s Guide to Emilia Romagna: How to taste the history and tradition of Italy, from Amazon. Or, get a copy of Pellegrino Artusi’s The Art of Eating Well to learn to cook traditional Italian cuisine at home. My condolences on the campari. We were on a pavked train (sitting in the stairwell of the vestibule ) from rome to pisa. I wanted a gorgeous red cold drink that others were drinking. My husband went and got one… I sipped it and gave it to him. Blah. I settled for a diet coke. I know, looks are indeed deceiving!